Hi everyone! One more week left of the school year! I just cannot believe how fast this school year went! 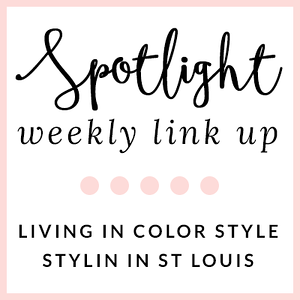 I wore this look this past weekend! It was easy and casual. Perfect for running errands! These bermuda shorts have been in my closet for quite some time. I love the length and I have linked a similar pair that is currently on sale! 1. 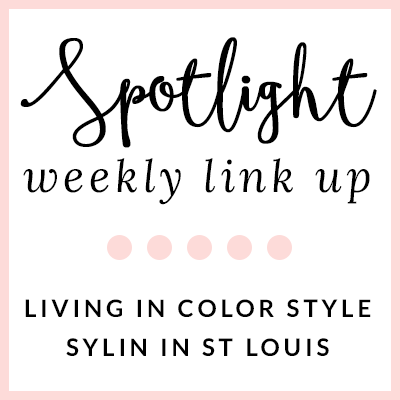 We kindly ask that you follow the two hosts: Elle from Living in Color Style, Jacqueline from Stylin' In St. Louis, and our co-host Andrea of Snow By Heart via Bloglovin or GFC. 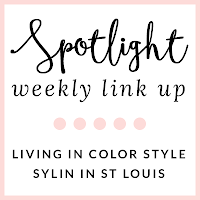 Spotlight: Our spotlight of the week is Rachel of Garay Treasures! 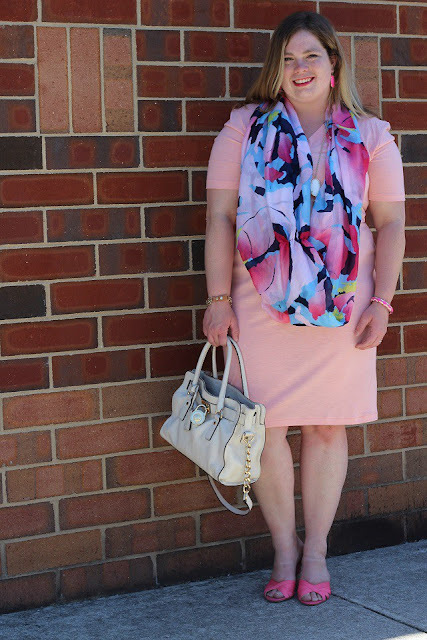 We love Rachel's bright and cheerful look! Her dress is such a fun color for spring/summer! We love how she paired bright accessories! Another super cute, casual look! Such a cute casual look! This pink crossbody is so fun for summer! This is the perfect casual look! Love your pink crossbody! Perfect casual look!! 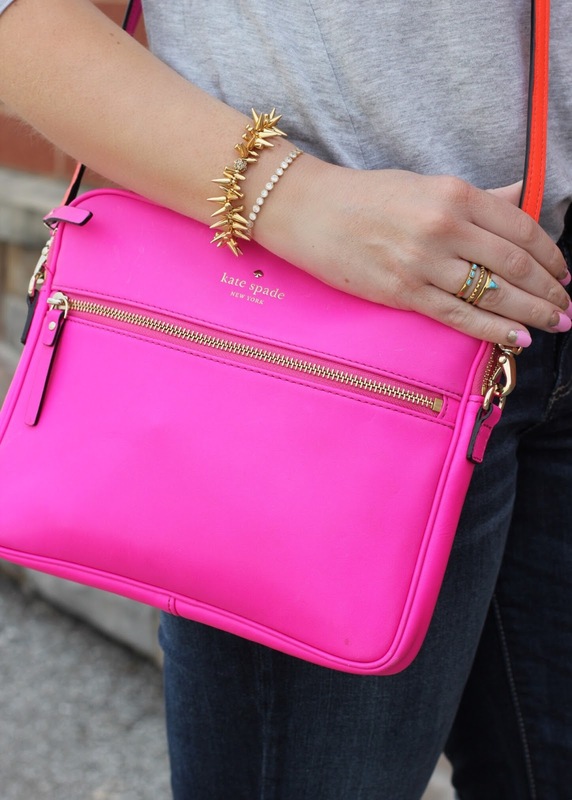 In love with that pink Crossbody!!! Such a cute casual outfit! Love the pop of color with the bag. love the pop of color, so cute. You created a cute casual look! Loving that pop of pink! We twin in our blue jeans - love this casually chic look!! If you still haven't, why don't your check out & join this huge GIVEAWAY I am hosting for JEWELRY TELEVISION (JTV) where a dazzling pair of 18k gold chandelier earrings is at stake - Have a great weekend!!! Perfect weekend look! I've been really into blue lately. Love this relaxed casual look!! Your bag is so pretty! Lovely look! You are adorable! And that bag shot is so so good! Hope your last week goes fast!! I love how bright and cheery that bag is! Its perfect for the Spring! I love the pop of pink!! Thank you again for the feature, what a nice casual look! 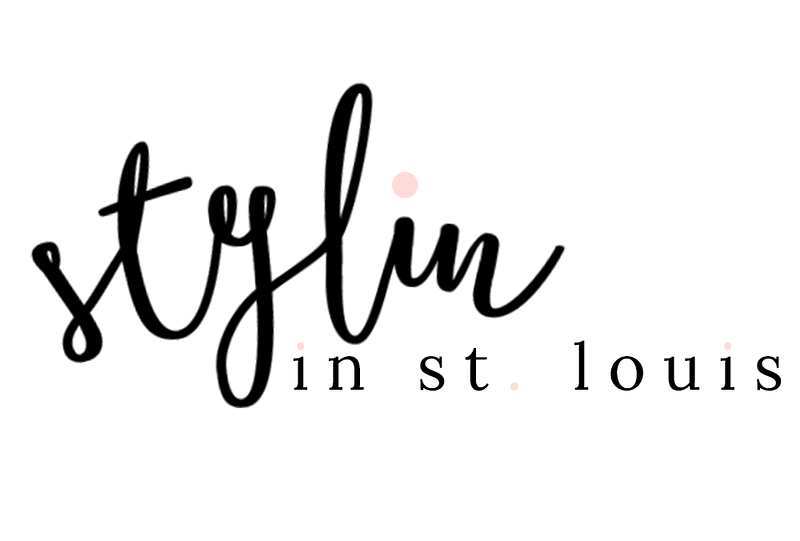 Stop by and join TBT Fashion link up. Digging those wedges, lady! 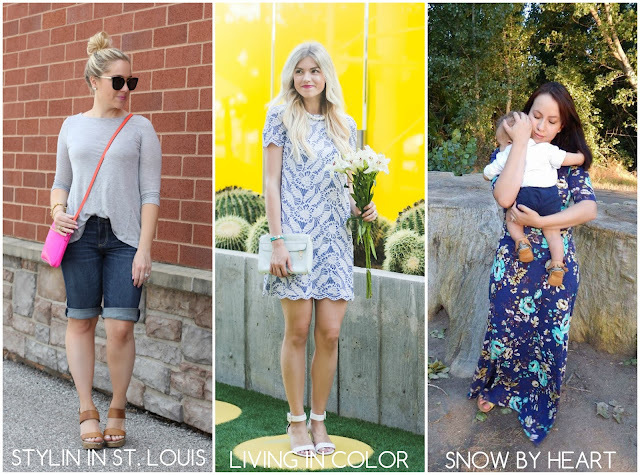 Summer staple, for sure! I just got a pair of bermuda shorts and I'm surprised at how often I grab for them! They are easy and go with a lot of my tops. Love that pop of pink from your bag! I love the look of Bermuda shorts. So cute and casual. Totally perfect for running errands. I love your sandals, too. Cute casual style withe pop of pink! Great casual style, I really love the hot pink KS cross body! Super comfy look! Simply pretty! That outfit is the perfect casual chic look! Hope you had a fab weekend! Oh my gosh your Kate Spade bag is amazing! !